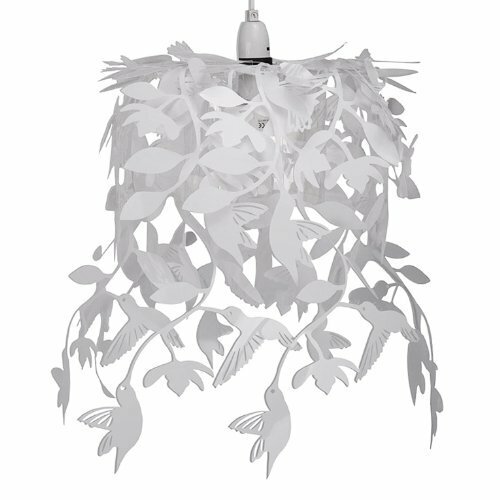 This simple ceiling shade in gloss white with hummingbirds and leaves is perfect for bedrooms. The hanging hummingbirds conceal the bulb and help to disperse the light. Easily fitted to an existing ceiling fitting in a matter of seconds - no electrical installation required. Some self-assembly required. Does not include ceiling rose/cord fitting. The ideal bulb to use with this product is a 60w BC GLS bulb - not supplied.